Republicans in the state Assembly have passed a middle-class tax cut that’s at odds with Governor Tony Evers, who has his own tax cut plan. The GOP bill uses a state surplus to fund a ten percent middle class tax cut. 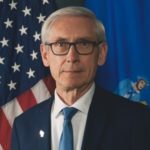 Evers plan, which he’ll introduce as part of his state budget proposal, uses some of that surplus, but also caps a manufacturing tax credit. Republicans call that a jobs killer. “I can’t understand how we could possibly use up all of the surplus for this, and then ignore the rest of the budget,” Evers said Tuesday. Republicans want to protect million-dollar handouts to millionaires, which means taxpayers in Wisconsin will be forced to foot the bill. 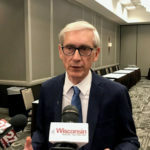 Republicans in the Wisconsin legislature are pitching a middle class tax cut, one that puts them at odds with Democratic Governor Tony Evers. 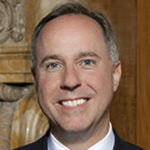 Assembly Speaker Robin Vos said Thursday that it will be paid for from the state budget surplus. “We actually have this huge surplus that’s been generated, and rather than allowing it to stay in Madison and be spent on growing government, we’d prefer to keep Tony Evers’ campaign promise and make sure that we have an opprtunity to do a middle class tax cut,” Vos said. Evers campaigned on a tax cut which he’d proivide by scaling back a tax break for farmers and manufacturers. “Why jeapordize what has brought us to this point of prosperity by undoing a tax cut that has brought us to today,” State Representative John Nygren said. An Evers spokeswoman said the Republican plan falls short of what the governor has proposed. The governor’s sustainable plan to cut taxes for middle-class families-which is funded by rolling back tax giveaways for millionaires-would provide relief for 86 percent of taxpayers without adding to the deficit or relying on one-time funds. In contrast, Speaker Vos’ spending plan continues to grow. Between this unfunded proposal, their refusal to accept federal funds to expand Medicaid, and growing legal fees for outside counsel to defend their lame-duck laws, Republicans are willing to leave taxpayers on the hook for hundreds of millions of dollars. Under the Republican proposal, couples filing jointly and making between $60,000 and $70,000 would see the largest average decrease – $311.